Hi. This does not look like the plumbian feldspar (variety known as amazonite) that you have mentioned. This looks like some kind of a secondary copper mineral to me. What is to be seen in the second picture looks a bit like malachite. The problem is that there is a huge number of secondary copper minerals that are green (most of them is green, blue, of green-blue, in many varieties of hues). One way to get an idea on what mineral it is, is to use portable XRF instrument. Many scientific units like institutes have them, also mine companies do. The portable XRF analysis is non-destructible, fast (few seconds to minutes), and relatively low-cost. However, it won't show essential components like carbon, and other light elements. To get a much more better idea one needs PXRD (Powder X-Ray Diffraction) and/or SEM-EDS (a scanning electron microscope equipped with Energy-Dispersive Spectroscopy detector/microprobe). Quite often the use of just one of these last two methods is enough to tell what mineral do you have (for sure). Marilyn; Welcome to the site. If you are new to minerals, geology and earth sciences in general then Lukasz recommendations might be a bit daunting. The techniques he describes are very accurate and will give a very specific result for the mineral, as he says "for sure". Fortunately there are also a few basic test that you can easily do at home to, if not outright identify the mineral, at least narrow the list of suspects. The three easiest ones are hardness, streak and an acid test. Other test like crystal form, fracture, cleavage and density need more of a trained or practiced eye which if interested can be done with trial and exposure to the different types. On the internet I imagine there are a number of good explanatory videos. Your sample is a bit problematic as it is a rock which means it contains a variety of minerals in small and large pieces so isolating them and doing the basic testing may be difficult and destructive. 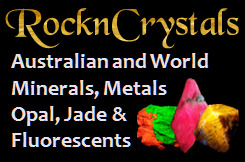 A third option and possibly the most enjoyable is to join a mineral/rock/lapidary/gem club in your local area (I use to belong to one in Richmond) and take your sample to one of the meetings. 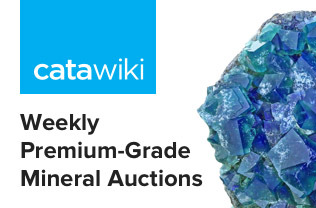 There is usually one or two members who are experienced in minerals and would love to take a stab at the identification. If not successful I am sure he/she would come up with some good guesses and narrow the field. As matrix seems to be a breccia, which often are calcareous, I would vote for a copper carbonate, probably malachite. Can test with a drop of diluted hydrochloric (muriatic) acid, both on the matrix and on the green stuff. If effervescence occurs, you have a carbonate. It may not be necessary to join your local club--most clubs welcome visitors to their meetings. 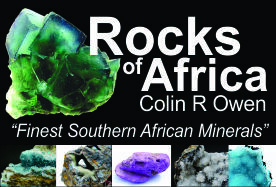 If there happens to be a gem & mineral show in your neighborhood you can also ask around and show it to people there. If you find someone sitting behind a microscope at the show, he or she might be a good place to start. Let us know what you find out!